Wish for the happiness, success and prosperity of your dear ones by gifting this Yummy Sweet Treat with Rakhi Thread teamed with a free Rakhi, Roli Tilak and Chawal on this Raksha Bandhan. This awesome Hamper is comprised of appetizing Kaju Katli from Haldiram 250 gr. 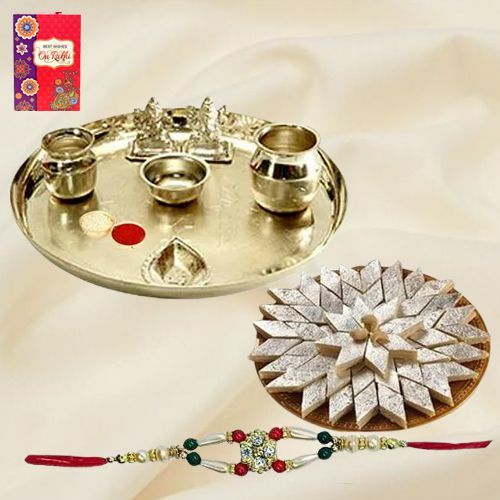 and traditional Silver plated Paan shaped Puja Aarti Thali with the weight of 52 gm.